For those just looking to fully unwind and relax, a crewed yacht charter is the perfect option. Carrying a professional crew on board will allow you to enjoy your luxury yacht charter where our friendly and experienced team take care of everything else, from the itinerary to the menu. 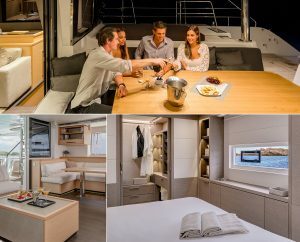 With Partial and Fully Crewed options, crew configuration can include a skipper, chef, stewardess and deckhand depending on your requirements. All of our crew have amazing local knowledge and can help you to make the most of exploring the exciting waters of Asia.